Rising temperatures. Upsetting a delicate balance? A team of British scientists contends that, within 200 years, Earth’s temperatures may become hot enough to kill off half of all existing plant and animal species. From: Nick Wadhams for National Geographic News. The researchers from the Universities of York and Leeds in Britain base that dire possibility on a new analysis of the 520-million-year-old fossil record, which links past mass extinctions with cycles of high temperatures. “We could be in the temperature zone in which mass extinctions have occurred by the end of this century, or more likely in the next century,” said Peter Mayhew, the study’s co-author and an ecologist at the University of York. Measuring in ten-million-year increments, the researchers found a correlation between high temperatures and four of five mass extinctions in Earth’s fossil record. No other research had examined both the entire globe and the entire fossil record, which begins about 540 million years ago. This analysis makes the strongest case yet for a solid link between temperature and changes in the number of species on Earth. According to the research, Earth is in a process, millions of years long, of moving from colder to warmer temperatures—from the “icehouse phase” to the “greenhouse phase.” The Earth will reach the peak of its latest warming phase in the next 60 million years. It is possible that extinctions don’t begin to occur until thousands, or even millions, of years after temperatures begin to rise. And the authors were careful to avoid claims about a causal relation between the rising temperatures and the extinctions. Other things, such as cycles of cosmic rays from space or carbon dioxide levels, could also have played a role in the past mass extinctions. Still, the authors say it may be possible to avoid some of the future extinctions if humans work to control temperatures. “We don’t want to over-extrapolate in our findings, but if they hold, it’s quite a scary thing to contemplate,” said Timothy Benton, a co-author and professor of population ecology at the University of Leeds. And last year, experts from 13 countries wrote an article in the journal Nature saying that climate change could push 37 percent of all species to extinction within the next 50 years. “We are on the verge of a major biodiversity crisis,” that letter said. “Virtually all aspects of diversity are in steep decline and a large number of populations and species are likely to become extinct this century. Richard A. Muller, a physics professor at the University of California, Berkeley, published a controversial piece in Nature in 2005 suggesting a link between changes in climate and changes in biodiversity. He believes that global warming will devastate the environment, but stopped well short of linking human-made global warming to biodiversity loss. He also said Mayhew and Benton had gone beyond the science of their paper. In the past the Earth’s climate has changed as a result of natural causes in our atmosphere. The changes we are witnessing and those that are predicted are largely due to human behavior. We are burning fossil fuels, and heating up the planet at the same time. Since the Industrial Revolution, humans have been burning fossil fuels on a massive scale. We use this energy, almost without care for the consequences, to run vehicles, heat homes, conduct business, and power factories. Burning fossil fuels releases CO2 stored millions of years ago as oil, coal or natural gas. In the last 200 years we have burned a large part of these stores, resulting in an increase in CO2 in our atmosphere. The destruction of our forests also releases CO2 stored in trees and in the soil. The increase of CO2 in the atmosphere thickens the ‘greenhouse blanket’, with the result that too much heat is trapped into the Earth’s atmosphere. 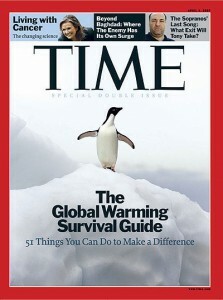 This causes global warming: global temperatures rise and cause climate change. Data from the World Resources Institute (WRI) show that humans have added 2.3 trillion tons of CO2 to the atmosphere in the last 200 years. Half of this amount was added in the last 30 years. The largest absolute increase in CO2 emissions occurred in 2004, when burning fossil fuels alone added more than 28 billion tons to the atmosphere. Source: WRI, Navigating the numbers, based on data from IEA, EIA, Marland et al, and BP. 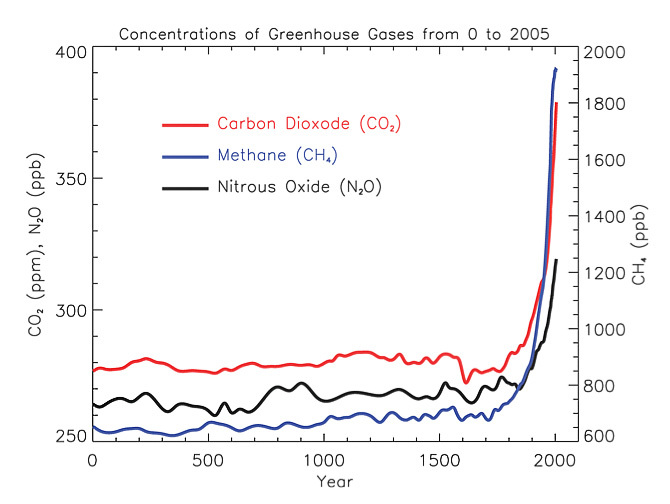 Overall, the concentration of CO2 in the atmosphere has increased by 31% since 1750, i.e. since the Industrial Revolution. A 1999 study by Mann et al. 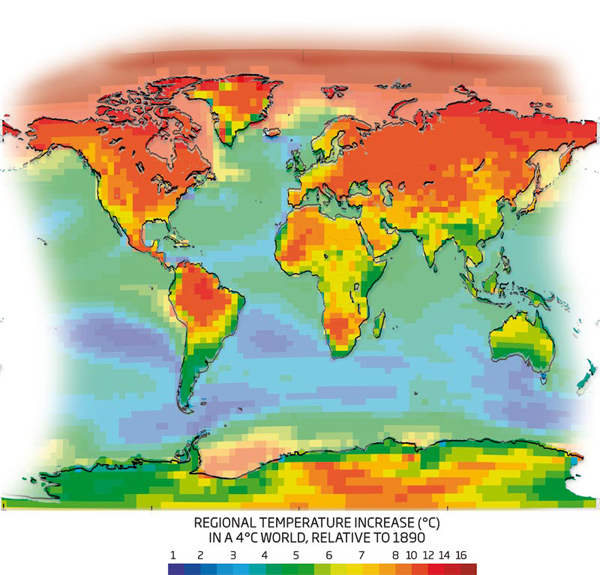 shows the dramatic increase in temperature in the Northern Hemisphere in the last 50 years. Numerous other scientists have validated this well-known hockey stick curve. We simply cannot continue pumping CO2 into the atmosphere without curbs and controls. Even with the best-case scenario for the increase in CO2 emissions it is predicted that the concentration of CO2 in the atmosphere will reach double the level of before the Industrial Revolution by 2100. The worst-case scenario brings this doubling forward to 2045 – less than 40 years from now! The Fourth Assessment Report of the UN’s Intergovernmental Panel on Climate Change (IPCC) estimates global temperature rises by the end of the century of between 1.1°C and 6.4°C. 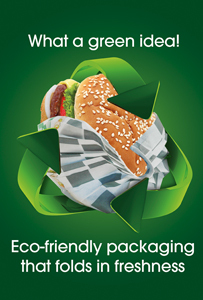 SAYS: The WWF. Smoke from Arctic wildfires may have caused Greenland’s record thaw. Satellite images suggest soot particles settled over ice sheet making it absorb more heat during last year’s extreme melting. The future of a globally warmed world has been revealed in a remote meteorite crater in Siberia, where lake sediments recorded the strikingly balmy climate of the Arctic during the last period when greenhouse gas levels were as high as today. Unchecked burning of fossil fuels has driven carbon dioxide to levels not seen for 3m years when, the sediments show, temperatures were 8C higher than today, lush forests covered the tundra and sea levels were up to 40m higher than today. The sediments have been slowly settling in Lake El’gygytgyn since it was formed 3.6m years ago, when a kilometer-wide meteorite blasted a crater 100km north of the Arctic Circle. Unlike most places so far north, glaciers never eroded the region so a continuous record of the climate has lain undisturbed ever since. “It’s a phenomenal record,” said Prof Peter Sammonds, at University College London. “It is also an incredible achievement the study’s work, given the remoteness of the lake.” Sixteen shipping containers of equipment had to be hauled 90km over snow by bulldozers from the nearest ice road, used by gold miners. Brigham-Grete said: “The Earth’s climate system is a sluggish beast.” Most scientists predict it will take centuries to melt the great ice caps of Greenland and Antarctica to the shrunken levels seen 3m years ago, and so push up sea level far above the world’s coastal cities. But CO2 is increasing with unprecedented speed and the Arctic plays a key role in the global climate.